Photo source: Israeli Ministry of Tourism. Some rights reserved. The Druze do not allow converts to their religion. Either you were born a Druze or you can never become a Druze. Evidence suggests that in the past some outsiders could inch their way into the group, but this is not so today. Take this inner isolation and mix it with the Druze ability to blend with their surroundings and set these ingredients in secular France. This presents a unique challenge to believers who wish to reach this unreached people group. Only the Holy Spirit can penetrate to the level of one's heart beliefs. And only He can melt the mental barriers that guard the Druze mindset from seeing the uniqueness of Jesus Christ. Most of the Druze in France live in Paris. In whatever country they live or travel, the Druze feel free to worship with the dominant religion of that society. So in the Christian West they might merge with traditional Christianity. And in secular France, they can easily merge with secularism. The father of the Druze religion was Hakim, a Muslim caliph who lived in Cairo, Egypt. In A.D. 996, he started a Muslim reform movement, proposed a new teaching of religious unity and implemented a belief in human-only reincarnation. Although they sprang out of Egyptian Islam, they have borrowed many teachings from other religions and cultures. From Judaism they believe in Moses and the prophets; from Christianity they believe that Jesus will return at the climax of history; from Hinduism they believe in the reincarnation and transmigration of souls; and from Greek philosophy they believe in the idea of ultimate reason and Aristotle's logic. The Druze need to know about the uniqueness of Jesus Christ as the final and ultimate Lord of all. They would probably be drawn to the philosophical tone of the Gospel of John, which also strongly addresses why we need to look to Jesus and no other. In a land where there is freedom of religion, believers can distribute the Gospel of John to the Druze. * Pray that Christ followers in France will reach out to Druze students and business people. 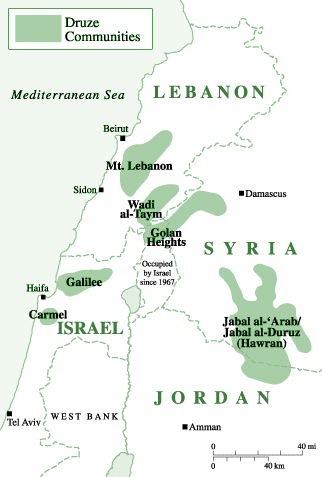 * Pray that the Holy Spirit will reveal to Druze leaders that the Lord Jesus Christ as the only way to eternal life. * Pray that there will be a disciple-making movement among the Druze in France that will spread back to their Middle Eastern homelands. 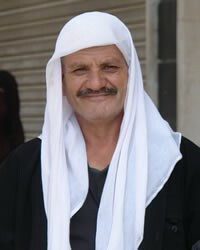 https://www.britannica.com/topic/DruzeView Druze in all countries.